It’s time for Winlaw Water Days again – Saturday, May 2nd. Come out and support the Whole School. 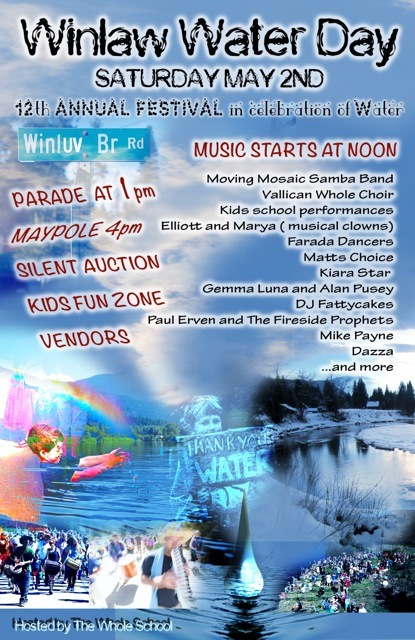 We will have garden plants for sale, fabulous silent auction items, delicious food at Mama Sita’s Cafe, puppet making, face painting, children’s crafts, lots of amazing music, and our annual Water Days parade to the Slocan River. Come join us!! ← WHOLE SCHOOL CELEBRATES EARTH DAY!